Can I receive disability benefits if I am suffering from Prostate Cancer? Prostate cancer is the second most common form of cancer for men. Approximately 14.0 percent of men will be diagnosed with prostate cancer at some point during their lifetime. Prostate cancer is one of the most serious diseases affecting men today and if certain conditions are met may qualify for SSDI or LTD disability benefits. Call 512-454-4000 today for assistance. It is more common among African-Americans than men of any other race group and white males are at a higher risk than Hispanics or Asians. Prostate cancer is rare for men under the age of 40 and most cases are diagnosed in men over the age of 65. Occurrences in one’s family increase risk as does eating diets high in red meat or calcium content. 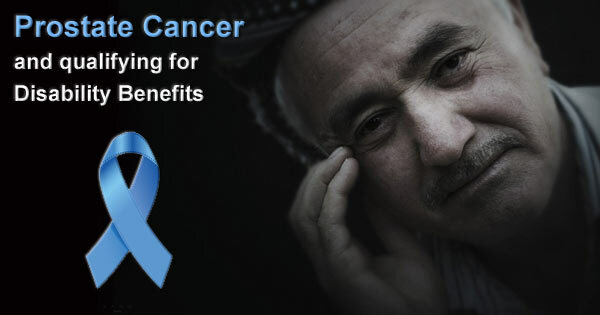 Prostate cancer is one of the most serious diseases affecting men today. It is especially dangerous because symptoms often do not appear until the disease has spread. Prostate cancer is most frequently first noticed after the prostate begins to swell as this can cause problems with urination. Symptoms of prostate cancer include frequent or painful urination, blood in urine, and pain in the lower back and pelvis. Symptoms can quickly progress to the point where it is difficult to perform daily activities. Intensive and time-consuming treatment procedures and chronic pain can also inhibit your ability to work if you have prostate cancer. If your doctor has diagnosed you with prostate cancer, you may be eligible for disability. then it meets the conditions listed under chapter 13 of the SSA’s “Blue Book” and you may be eligible to receive benefits. In order to show that you meet the SSA’s requirement, you will need to show medical evidence, including your physician’s evaluation of your condition. Contact a Social Security disability attorney at 512-454-4000 for a free consultation and see if you can get disability benefits while suffering from Prostate Cancer. If you have been denied disability don’t give up! Because of the severity of the disease, the Social Security Administration has a special fast-track program for those diagnosed with small cell prostate cancer- approximately 1% of prostate cancer sufferers. Small cell prostate cancer develops quickly and is so rare it is usually not diagnosed until after it has begun spreading. The compassionate allowances program allows those with small cell cancers to bypass much of the screening process and generally results in an eligibility decision being made in a few weeks rather than the months it can normally take the SSA to reach a decision. While it is fortunate that small cell prostate cancer is rare, it’s not fortunate that most applicants will have to wait a long time for their eligibility to be determined and many will ultimately be denied. 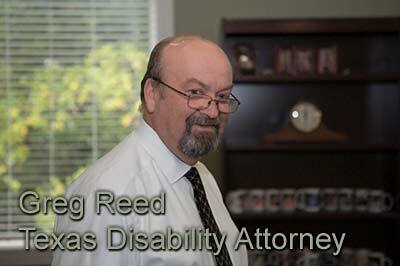 If you have been denied either Social Security Disability Insurance benefits or Long Term Disability benefits through a private insurer, contact the Law Offices of Bemis, Roach and Reed for a free consultation. We will help you appeal your case and present it successfully. You will only be asked to pay attorney’s fees out of any benefits won- if you are denied benefits, you will not owe anything. Applying alone can be stressful and confusing. If you would like help with this process, Call 512-454-4000 and get help NOW.